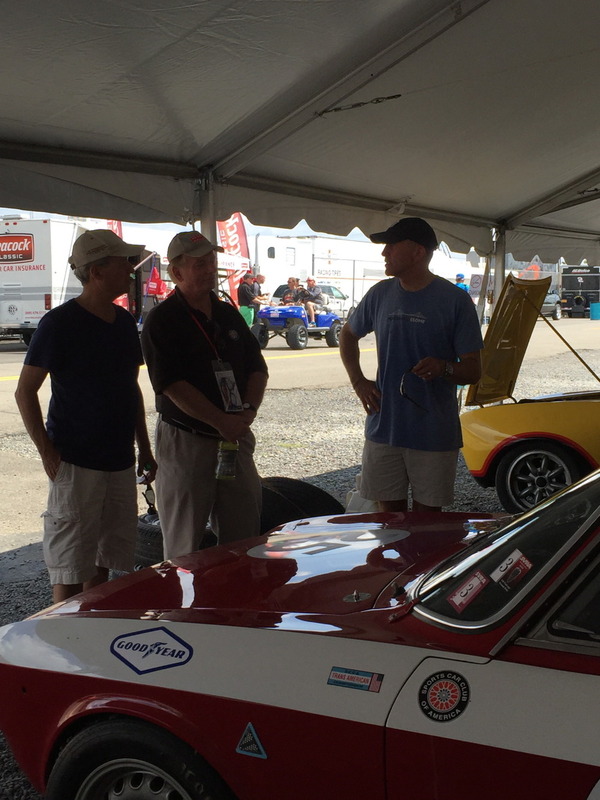 This event this year at historic Watkins Glen speedway was a sensational four day affair. 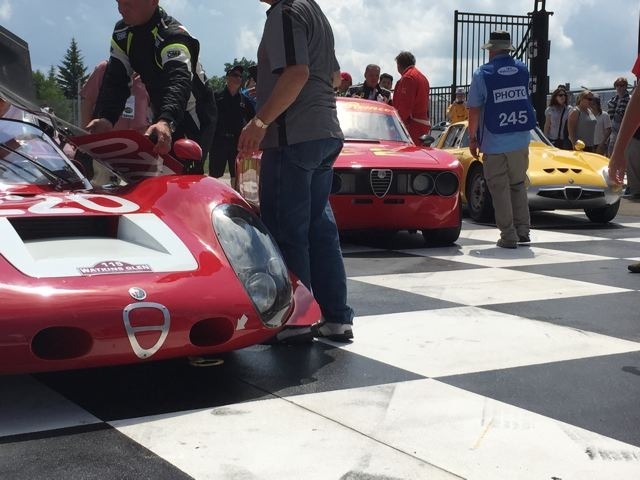 We were treated to mucho vintage track events including an "Alfa only" race which was won by Jay Ilohans 1968 Tipo 33/2 Daytona. Also appearing was another 33: Toni Kasemets's red 1971 Tipo33 #50. The preceding endurance race was won by Joe Colasacco in a yellow TZ1 which took the Nuvolari trophy. There were over thirty Alfa racers which competed in a number of races including the three GTA Trans-Am Championship Alfa's from 1970 ! The GTA's owned and raced: #3 Bernie Martinez, #25 Sam Cummings and #93 Dave LeBraun. And the Peter Giddings 1935 8C looked, sounded and ran amazing. 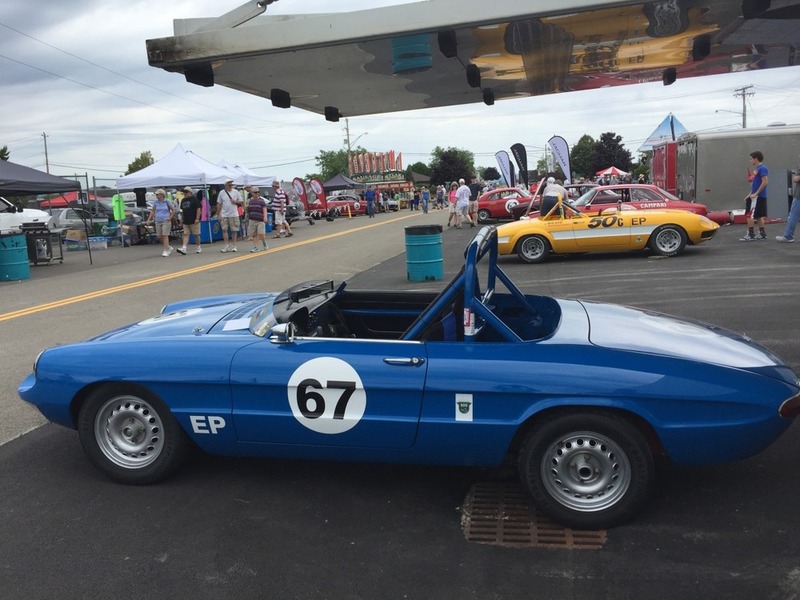 Mike Besic ran several beautiful GTA's, Joe Cannella superfast '68 GTV. Tom Lacosta, Sam Cummings and Rob Davenport all ran and showed GTA's. Eliseo Carrillo's #99 '63 green Giulia Spider, tech by Rex Chalmers, was lightning, and Rob Mocas piloted his cool yellow/black '67 GTV. 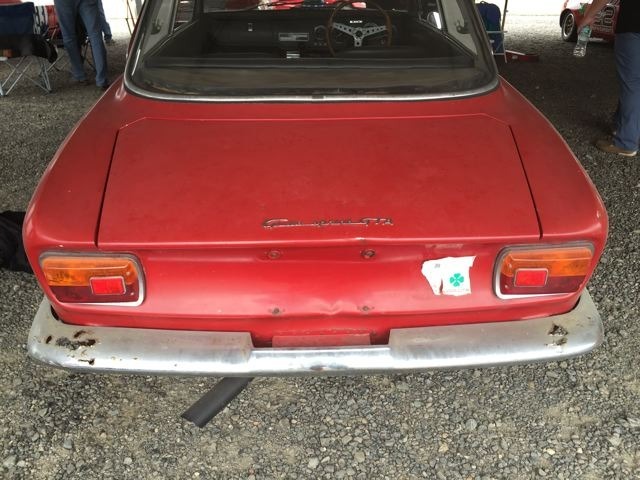 A very interesting "barn find" was Ken Geiger's unrestored 1965 GTA Stradale RHD. There was also a classic car show, a reception at the Corning Glass Museum, Police escorted racecars, and a wonderful dinner banquet with guest speaker Robert Little featuring his personal slide presentation: "Inside the Walls" of AUTODELTA and ARI Racing! 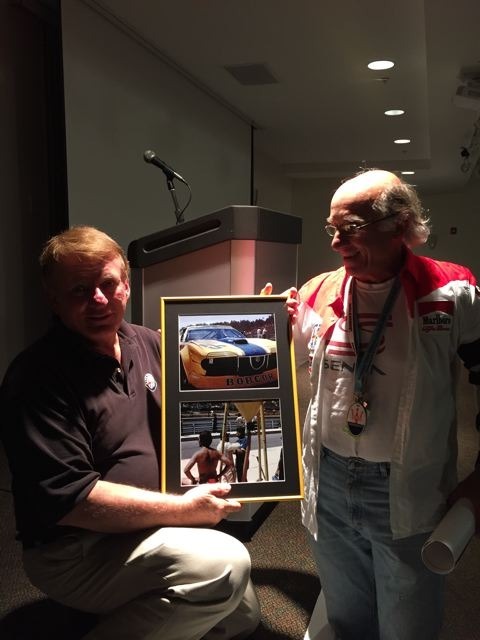 Afterward, Robert was presented with a special memento of Autodelta Alfa Montreal by Dr. Martinez. The Rita award was presented by SVRA Robert Mocas who made an emotional speech regarding the late and highly respected racing lady. AROC/NYAROC members attending/pit crewing: Joel Belser, Bactosh and Jen, Keith Goring and Vic and Gail. 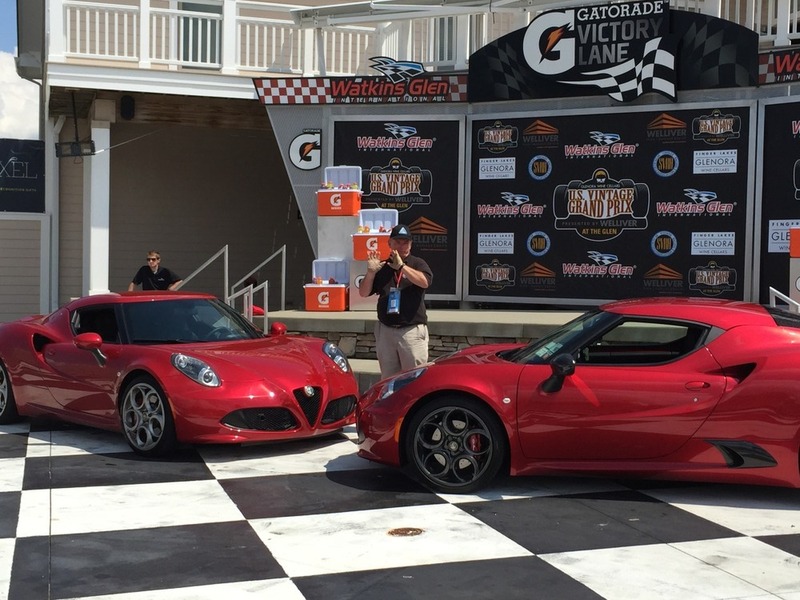 It seems that every five years there is a special Alfa Romeo Dedication and this year was it. A fair number of our NYAROC members went up for 2005 and a larger group attended the 2010 event which was a blast. 2015 was great and hopefully we'll all be around to do it again.